Today, I looked at pine trees, irrigation sprinklers, roof lines, handrails, traffic signs, things in the library and outside of the library, Amish buggies and a crocheted snowflake. 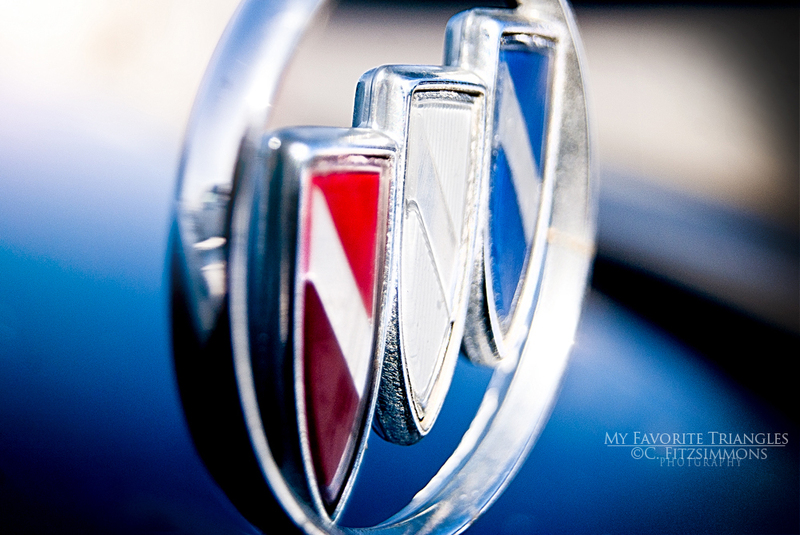 And settled on the triangles in my car’s Buick emblem. No problem! As a side note, my son’s JV bowling team won again today at their meet and are now 6 – 0! They are amazing Bowling Freaks, that’s what they are! And looking at the temperature right now, we are having a heat wave and it is a balmy 2 degrees f. I am burning up from this blast of furnace like heat! I am looking out the window at a blue, blue sky at this moment and seeing some tall white clouds looming to the south. It has been snowing on and off all day long, lake effect snow bands causing havoc with the strong, cold winds. I am loving it, though the chill is starting to seep into my bones! That is what winter in Michigan is supposed to be all about after all! I braved the bitter wind today to get these stripes, a sign that is nestled at foot of a bridge not too far from home. Snow anyone? Bring it on!!!! The skies are charcoal gray; it’s a dreary down town day…. But at the end of my 55 mm lens, shoes. 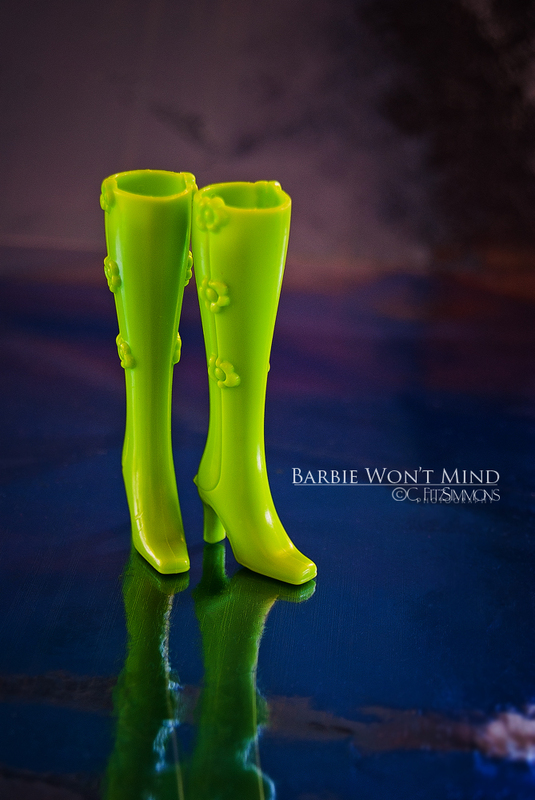 Shoes for Barbie. That’s her name. And having a good time on a crummy day is our game…. My apologies to the B-52’s for the shameless homage slaughter of their timeless lyrics, but as I looked out the window just now, at the cloudy sky, that is all I could think of. After two days of unseasonable warm weather, we are back in the 30’s f with cold, cold rain. I am ever so thankful, grateful, much obliged, contented and pleased to be tucked into my cozy house, in a cozy hoodie, all cozied up on my cozy couch! Day 2 brings us the color blue in its many forms. As I have looked through what people have posted to Assignment 365, I am amazed at the talent and vision people have. There are so many interpretations of blue. And as overwhelmed as I am by the scope of this particular 365 and administrating a full year of photo events, I am happy that I have taken this challenge once again. I have so much to learn.